The article Airbnb’s latest challenge is coming from Taiwan was written by Nicole Jao for TechNode. The concept of home-sharing was popularised by Airbnb and the like nearly a decade ago. Despite the rise of the maturing sharing economy, short-term rental services are still grappling with regulations all over the world. The controversy is global. Conversations about legalising Airbnb have sprouted up in the US, Canada, Australia and European countries including Germany, the Netherlands, and Ireland. Most recently, Taiwan’s neighbour Japan passed a new law that made Airbnb legal in the country which ironically has made business harder. Lawmakers in Taiwan started looking into ways to legalise short-term rental services for some time now—but this is hardly good news for Airbnb, who is in the crosshairs of government scrutiny. The legalisation of Airbnb elevated into a heated debate in Taiwan earlier this month after an amendment to the Act for the Development of Tourism was proposed to increase fines and penalties for unlicensed lodging services. An official went even further proposing an outright ban on Airbnb and other short-term housing. The proposition received support from the local hospitality industry, as expected. For traditional lodging businesses, Airbnb and short-term housing providers have developed into major competitors and are chipping away their revenue. The issue of compliance was also brought under a brighter light recently: it is hard to impose safety regulations while many apartments and rooms listed on Airbnb fail to meet the safety requirements that are enforced on a hotel room, for example. It also snowballed into other broader issues that fueled the debate. Taiwanese legislators were under fire for potentially jeopardising freedom of speech because under the newly proposed amendment, if hosts fail to comply, the NCC (National Communications Commission) would have the authority block IP address and cut off access to the rental platform. “The amendment proposed for the Act for the Development of Tourism today clearly does not reflect the travel habits that 21st-century tourists have embraced. It could also cripple the development of Taiwan’s tourism industry,” Airbnb said in a statement (in Chinese). Uber, another sharing economy unicorn, faced the same woe two years ago. Legislators passed the so-called “Uber Clause” in January 2017, which imposed heavy fines to clampdown on illegal ride-sharing activities. Local businesses feared that the ride-hailing app could potentially undermine the existing taxi industry. After months of deadlock, the ride-hailing startup returned to the Taiwan market and launched its UberTaxi app in collaboration with local taxi companies. Legalisation of short-term housing has been in progress for more than a year. In June 2017, the Taiwan Tourism Bureau along with major travel agencies kicked off a campaign to improve tourism confidence by ending rental scams and unlicensed rental properties that are unsafe. In the following month, Taiwanese legislators passed the so-called “Airbnb Clause,” which stipulates that hosts must register their residence with the local government to be listed on rental platforms. This may be a fix to illegal short-term rental listings, but it creates other issues. While most residences were granted approval, there is currently a 180-day waiting period after registration before it can begin operations. Japan has implemented a similar policy, which enables hosts to provide accommodation for up to 180 days a year by registering their residence with local authorities. The new law may lower legal hurdles for those with a license, but it reportedly scrapped 80% per cent of listed short-term rental properties from hosts who have yet to obtain permission to operate while local governments remain slow to grant, according to Nikkei Asian Review. In an under-regulated marketplace like Taiwan, many short-term housing providers benefit from tax loopholes, which give them an unfair advantage. The government could benefit tremendously from closing those loopholes. Currently, occupancy tax is levied on Airbnb hosts in many countries and cities across the world. The Taiwanese government may have mixed feelings about short-term rentals, but the people love it. Airbnb has seen tremendous growth in Taiwan over the past three years. According to company figures, 1.3 million foreign travelers used Airbnb listings in Taiwan in 2017, which represents 12 per cent of the total number of inbound tourists. 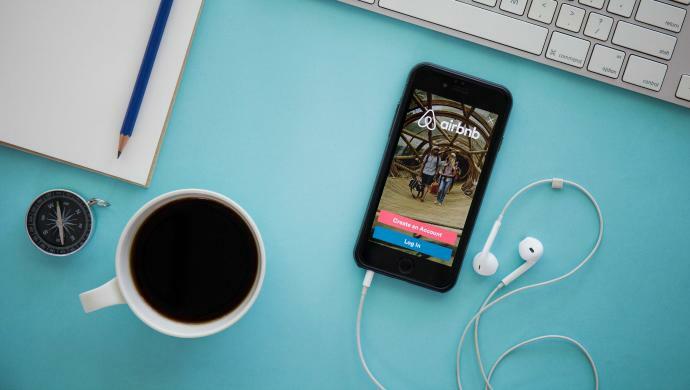 Airbnb conducted a survey which shows over half of the respondents hope legislators can come up with new policies to accommodate the emerging short-term rental services, with only around 12 per cent in opposition. “People in Taiwan appear to support reasonable and progressive policies to legalise home-sharing, this echoes what happened in the past few months in Japan, Berlin, Vancouver and other countries and cities which are loosening policymaking. This indicates that Taiwan needs new policies to serve the demand rather than prohibiting it and run counter to the market trend,” Gina Tsai, Head of Public Policy of Hong Kong and Taiwan, told a local news outlet. While many are apt to criticise the government’s move against short-term housing as counterproductive, there are some valid reasons as to why Airbnb is facing a backlash. In the eyes of incumbent players, short-term rentals are undercutting the existing hospitality industry. The ugly truth is they are squeezing the supply of long-term rentals and thereby driving up housing prices. In popular tourist destinations, leasing out short-term vacation rentals is generally more profitable than leasing them to long-term tenants. A recent study by MIT, UCLA, and USC found that Airbnb is having an impact on real estate prices and rental prices. In the US, a 10 per cent increase in Airbnb listings would lead to a 0.39 per cent increase in rents and a 0.64 per cent increase in home prices on average. The island is calling for a change to the outdated regulatory framework around the hospitality industry, which lacks a clear definition of “home-sharing service.” It is too soon to predict Airbnb’s fate in Taiwan, but businesses are showing a willingness to cooperate with the government. After becoming legalized in Japan, Airbnb voluntarily took down all illegal listings on its platform. And the company said it is willing to comply if the Taiwanese government implements similar regulations. The article Airbnb’s latest challenge is coming from Taiwan first appeared on TechNode. The post Airbnb’s latest challenge is coming from Taiwan appeared first on e27.